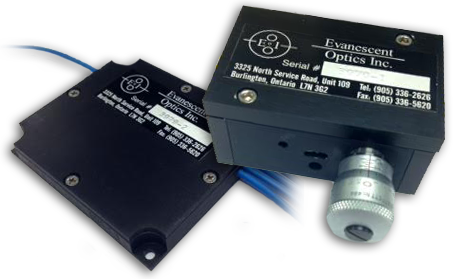 Evanescent Optics Inc. offers low loss (<0.1dB), high isolation (<-25dB) PM fiber-optic couplers in both fixed ratio and variable models. Our small footprint couplers, splitter/combiners and other components can be configured as NxM port, splice free coupler arrays and as custom assemblies fabricated for high ER and low loss. 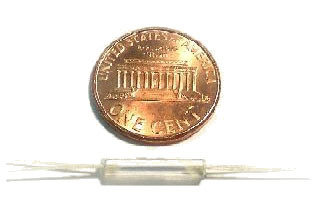 Operating wavelengths of 450nm to 2um and custom pigtail lengths available. Our Manufacturing techniques allow multiple coupler halves to be produced along a single fiber so that splices are not required for many applications. Cross coupling of polarization modes in the fast and slow axes in PM fiber components (ER) is a major cause of performance deterioration using coherent lasers and can be minimized by eliminating the contribution of splices.